So the scribes and the Pharisees sealed the stones on the tomb of Jesus and set guards over the tomb to guard it. On Monday morning, Jesus’ mother, Mary and Mary Magdalene, brought some spices with them to Jesus’ tomb to embalm His body. When they arrived at the tomb, a violent earthquake shook the earth. An angel with a lightning countenance and wearing shinning white clothes appeared. When the guards saw the angel, they were shaking and very frightened like a dead person. 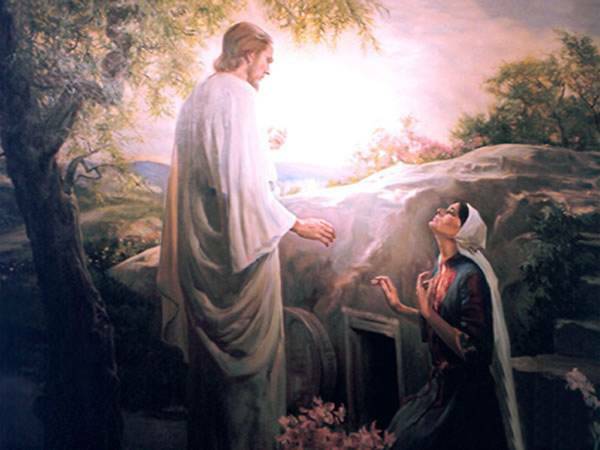 Jesus’ mother, Mary and Mary Magdalene were very frightened yet very happy. They went out immediately from the angel’s presence and told His disciples the good news that Jesus had been resurrected from the dead.